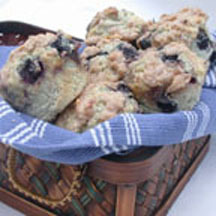 CooksRecipes has quality, kitchen-tested recipes for blueberry muffins that you can count on for successful deliciousness. Breakfast or dessert? These blueberry muffins with white chocolate chips are the perfect treat anytime. 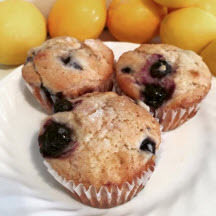 Sugar-topped, scrumptiously delicious lemon-scented blueberry muffins. 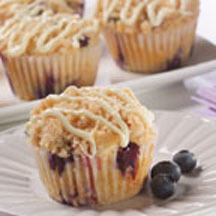 This delicious muffin recipe is a great way to incorporate nutritious blueberries into a tasty treat that appeals to both young and old alike.